by Cesar Brioso (Gainesville: University Press of Florida, 2015). Baseball: often touted as “America's Pastime,” it is often easy to overlook how the sport has firmly implanted itself in the consciousnesses of other populations. In Havana Hardball, Cesar Brioso explores how 1947, the year marking racial integration in the National League, was a critical year in the history of Cuban baseball as well. Brioso frames his exploration around the 1946-7 Cuban League season, exploring the historic rivalry between the Almendares Scorpions and the Habana Lions. Yet intertwined within this tale of sports rivalry are the stories of a Cuban League desperately striving to remain independent of the organized American leagues, of a Mexican League sneakily poaching players from other franchises, and the Brooklyn Dodgers, utilizing their spring training season in Havana to perform a grand experiment in racial integration (xi). Throughout his work, Brioso reminds readers that the baseball leagues of Cuba, the United States, and Mexico were not discrete organizations, but frequently interacted and competed, sharing players and locations, effectively blurring the lines of distinction between these organizations. The historic 1946-7 season of the Cuban League marked the first use of Havana's El Gran Stadium, which serves as the backdrop for Brioso's narrative about the 1946-7 season. Yet Brioso also explores the early interactions between baseball leagues in the United States and in Cuba. American baseball teams used Cuba as a grounds for spring training in the early 1940's, training the new players to replace the professionals that had been drafted to fight in World War II. Havana's “El Gran Stadium ,” which, when first opened for the 1946-7 Cuban League season was only three quarters completed. With the end of the Second World War, and the return of many professional baseball players to their original teams, the replacement players of the interwar period found themselves being courted by the Cuban League. Players, like Sal Maglie and George Sisler, played for the Cuban League in the postwar period, with the latter firmly cementing himself in the minds of Cuban baseball fans by hitting two home runs in his debut game (15). This exchange of players went both ways, with white Cuban players, such as Adolfo Luque, achieving vast success in American baseball teams. Yet the exchange of players between American baseball leagues and Latin American baseball leagues was not without controversy. Brioso provides an exploration of the efforts of Mexican League president Jorge Pasquel to build a successful league of his own. Offering substantially higher salaries than they were being offered in the United States, Pasquel encouraged skilled players from both Cuba and the United States to break their prior contracts and take their talents to the Mexican League. When faced with protests from the owners of American teams, Pasquel responded that his actions were exactly the same as those employed by organized baseball within the United States (39). Faced with such criticisms, American baseball leagues responded by blacklisting any players who jumped ship, and pressuring their Cuban league counterparts to do the same. Branch Rickey, president of the Brooklyn Dodgers when Jackie Robinson broke the color barrier. 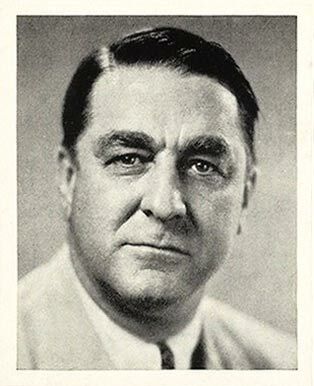 At the same moment, Brooklyn Dodgers president Branch Rickey sought to integrate baseball in the United States, beginning a search for the appropriate player, one who was skilled, yet also patient, and willing to avoid confrontations over race. Although he first approached several Afro-Cuban players from the Cuban league, Rickey ultimately settled upon Jackie Robinson (26). However, issues of racial discrimination within his own franchise, and in the Dodger's traditional spring training grounds in Florida forced Rickey to relocate the Dodgers to Cuba for their spring training. The hope was that in Cuba, where the baseball leagues were racially integrated, Robinson and other African-Americans would be able to play in freedom (29). Cesar Brioso's exploration of the 1946-7 Cuban League season provides key insights into how baseball has been historical viewed by the Cuban populace, as well as the important role played by Cuba in integrating the American National League. However, beyond his brief exploration of efforts by Latin American leagues, particularly Pasquel's Mexican League, to remain independent of organized baseball, Brioso does little to provide a history of baseball in Latin America or Cuba. Although he offers tantalizing insights into the history of Cuban baseball, such as José Marti's interest in the sport, or the use of locally organized baseball games to finance Cuba's struggle for independence against Spain, these examples are not expanded on, and can leave a reader wanting to know more about Cuba's unique relationship with the sport (191). Similarly, readers looking for a detailed analysis of pre-revolutionary Cuba may walk away disappointed, as Brioso only explores the elements of society that had an effect on organized baseball, like the prevalence of American organized crime in Havana which led to fears that Cuban baseball would be corrupted by gambling. However, Brioso's work does provide an excellent examination into the interplays and exchanges between the American baseball leagues, and those of Latin America, tracing how the shared histories of these leagues have shaped some of the profound moments in baseball history.